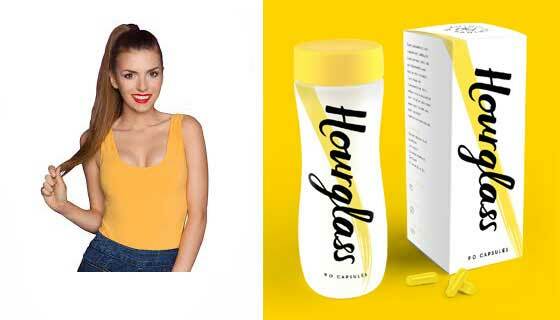 There are a lot of female fat burners on the market, but Hourglass is one of the best. When we began our evaluation of this product we were not expecting much, but it contains such a well-picked combination of ingredients and is sold with such a generous money back guarantee we could not fail to be impressed. Hourglass is also cheap as chips, so ladies who are looking to do some serious fat burning on a budget can go for an Hourglass figure without putting a big dent in their purse. Most manufacturers of female fat burners try to attract the attention of potential customers by taking a “pink for a girl attitude” with their website design and product packaging. If hourglass has a colour it’s yellow, so that’s a pretty big difference right there. The manufacturer of Hourglass (Propura Ltd) appears to have chosen to let their product talk for itself instead of relying on gimmicks, the Hourglass marketing campaign is refreshingly low in hype and provides plenty of information about why people put on weight in the first place and how the ingredients used in Hourglass can help turn things around. Glucomannan (1500mg): An ingredient that’s taken from the roots of the konjac plant. Glucomannan is a very popular appetite suppressing ingredient and there’s a good reason for that—it’s scientifically proven to work. Vitamin B6 (4mg): B vitamins are often added to diet pill formulations because they help the body extract energy from food. Vitamin B6 and Vitamin B12 (also included) are so good at doing this they are key ingredients in all the major brands of energy drink. Vitamin D3 (1000IU): A number of studies show a relationship between Vitamin D3 and weight loss and it’s an especially good inclusion for a diet pill made for women because it appears to help reduce the symptoms of menopause. Capsimax (100mg): A brand of capsicum extract. All capsicum red pepper extracts have the ability to suppress hunger and boost fat burning, but it’s generally accepted that Capsimax is one of the best. Green Tea Extract (500mg): A proven fat burner that can increase energy expenditure for up to 24 hours. Research suggests the compounds provided by green tea may also have value in breast cancer prevention and treatment. Guarana (100mg): The steady supply of caffeine provided by guarana berry extracts is good for providing long lasting energy and preventing diet-related fatigue. Caffeine also boosts the metabolism and encourages thermogenic fat burning, so guarana has a lot to offer in a formulation such as this. Chromium Picolinate (125mcg): A source of chromium. Although chromium used to be alleged to have fat burning capabilities, these days it’s added to diet pills because its presence can prevent the carb cravings and sugar urges that result from insulin resistance. Bioperine (5mg): A branded black pepper extract that helps the body absorb other ingredients. Usage Guidelines – One Hourglass capsules is required three times each day, with meals. Results will be greatly improved if the capsules are used alongside a calorie-controlled diet and efforts are made to get more exercise. Customer reviews are few and far between, but that’s not surprising. At the time of our evaluation, the product was still new to the market. All the ingredients used in Hourglass are known to be safe, but it’s always good practice to ask a doctor’s advice before using any brand of supplement for the first time. This is especially important for women who are pregnant or nursing a child and for people who suffer from diabetes or are under a doctor’s care for another reason. Hourglass has a 90-day money back guarantee. Hourglass is a very well priced fat burner for women, but the cost of diet pills can be misleading. 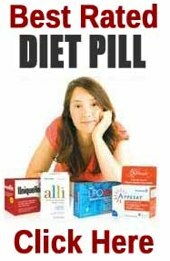 Any diet pill that fails to work will still be a waste of money. However, in this case our evaluation reveals Hourglass is a genuine bargain. The formulation contains a strong blend of natural ingredients that should boost fat burning capabilities while also preventing the hunger pangs and energy slumps that generally result from any serious attempts to lose weight. The 90-day guarantee period allows customers plenty of time to see what the product can do and provides them with a way to pull their money back if they are not delighted with the results. 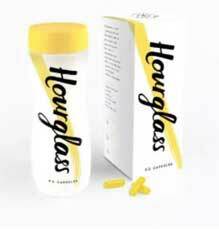 Hourglass is an extremely good product and we are happy to recommend it to any woman who wants to get serious about losing weight. You can only buy Hourglass via the manufacturer’s website. 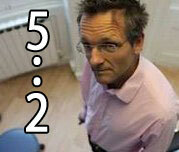 It’s very reasonably priced and women who purchase three bottles get a fourth one thrown in for free.